This charming and historically significant house retains many original features, in spite of alterations and additions over the years. There are fireplaces in nearly every room, H & L hinges, iron latches, exposed beams and some original panelling (west parlor). The "ship's stairway" is considered a particularly unique and noteworthy architectural feature. Abner Abbot had a blacksmith shop next to his house, "under the spreading Chestnut tree" for which the street was finally named. Squire John Kneeland lived here, 1796 - 1831. He was step-son and legal representative of Samuel Abbot (47 Central St.), benefactor of Andover Seminary. Kneeland was lawyer, merchant and Revolutionary War veteran and later, member of the Massachusetts House of Representatives. Street then called Kneeland Lane, in his honor, sometime after he took ownership in 1796. Kneeland was first married to Rebekah who died Aug. 11, 1819. His second wife Priscilla "Prisey" Abbot, daughter of Issac & Phebe (Chandler) Abbot, was the young girl who mended George Washington's glove and got his kiss in appreciation in 1789 when he stopped at the Locke Tavern on Elm Street. Priscilla married Kneeland on June 5, 1820. In 1825, General Lafayette stopped here for a hot toddy and greeted Andoverites from the Rose Cottage doorstep. This happened before or after his address to the students at the Academy and Seminary on the Hill. Priscilla died of lung fever on Feb. 17, 1830 age 59. John Kneeland married a thisd time to Mrs. Anna (Hobart) Kimball of Plaistow, NH in Sept. 1830. John died a year later on Sept. 4, 1831. 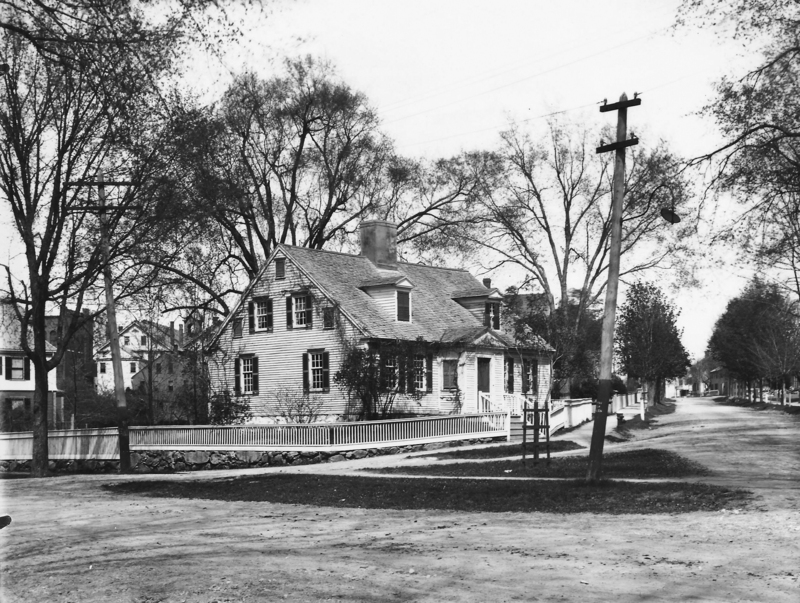 From 1837 to 1843, it was the first rectory of Christ Church, and the first minister, Rev. Samuel Fuller lived here. Mrs. David Gray and Mrs. Jonathan Swift were later occupants. Nancy Kneeland Hall, Squire Kneeland's daughter, was married to Joseph Hall of Montreal, Canada int. Aug. 16, 1804, but he later abandoned her. Nancy inherited the house, probably rented to Christ Church. Nancy sold the cottage through Samuel Merrill to Timothy Foster on Apr. 19, 1847 for $1550. Luther Hubbard and Foster heirs sold on March 1, 1852 for $1800. to Martha Lawton (Marland) Punchard, widow of Benjamin H. Punchard. Thus began the Marland connection to the property from 1852 - 1919. Martha rented the cottage to her sister-in-law Sarah (Northy) Marland after acquiring the property. Sarah was married to Martha's brother, William Sykes Marland who died on Aug. 27, 1847 leaving Sarah with six children to raise; Abba (Abigail) Northy b. June 8, 1836 in Salem, MA - d. Apr. 10, 1855, Sarah Helen b. Feb. 1, 1838 - d. June 9, 1913, William b. Mar. 11, 1839 - d. Apr. 17, 1905, Abraham b. Jan. 18, 1841 - d. May 11, 1911, Charles H. b. Apr. 5, 1843 - d. Aug. 24, 1903 and Mary Sykes b. Aug. 29, 1844 - d. Aug. 14, 1879. Evidently her son William S. Marland, not her husband, scratched his name in the window panes when he lived in the house, as they are still visible. Sarah had also taken in her sister Mary K. Northy b. March 1812 by 1850. The 1860 Federal census lists 10 occupants in the Rose Cottage. Sarah N. Marland 47, children, Sarah H. 22, William 21 a merchant, Abraham 19 a store clerk, Charles H. 17 manufacturer apprentice, Mary S. 15 at school and her sister Mary K. Northy 48. Also Harriet N. Webb 62, (another sister of Sarah) her daughter Harriet K. Webb 33 and a Priscilla J. Russell age 36, who was also living with them in 1850 when they lived on Main Street. After Martha Punchard died on March 30, 1871, she willed the property to her nieces, Sarah Helen (Marland) Poor and Mary Sykes Marland, daughters of Sarah N. Marland. Mary S. died in 1879 leaving Sarah (Marland) Poor to inherit her share. Sarah then quit claimed the property to her mother Sarah N. on Jan. 28, 1881. It was before this that the new house next door at 11 Chestnut St. was built. Son William first live there with his family then Abraham before their mother died. When Sarah N. died on Dec. 30, 1900, the Marland heirs, Sarah H. (Marland) Poor, wife of George Poor, William S. Abraham, and Charles Marland quit claimed the property to brother Abraham Marland. The cottage was rented to Adelaide L. Allen in 1904 but Abraham then moved his family into the the house. His wife Elizabeth N. "Lizzie" (Lord) Marland made alterations for the purpose of opening it as Rose Cottage Tea Room in 1906. In the early 1900s, she added the latticed window on the Central St. side and had the barn removed. At this time, ceiling beams were boxed; hardwood floors were placed over the original wide floor boards, for the extra wear and tear of the cottage's new role as a tea house. She added lattice at the front door and ell door and put on a porch off the first floor back bedroom. 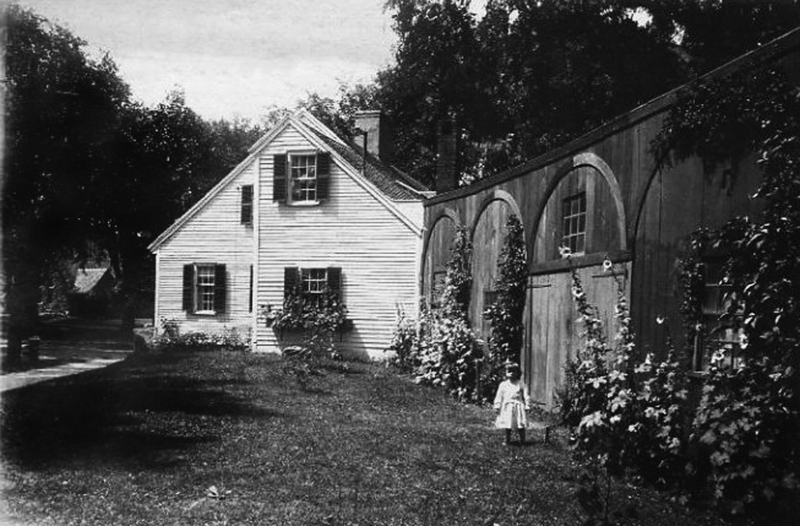 The Rose Cottage once had a connecting barn which extended along Chestnut St. into lot at #11. An Andover artist, H. Winthrop Peirce, painted a watercolor of the Rose Cottage in June 1916 which now is in the collection of the Andover Historical Society. It shows the barn ell covered in wisteria vines and beautiful garden in front. In a letter dated March 15, 1918 by Peirce to Mr. Louis Fitch of Boston, Peirce writes. "your picture can never be duplicated, as since I painted it last June, the beautiful green woodshed with its flat arches and vines, has been demolished, as the owner a Mrs. Marland, would not re-shingle the roof." Abraham died in 1911 and Elizabeth and son Harold are still living here in 1913 but then rented the house. Elizabeth sold the property on Nov. 14, 1919. 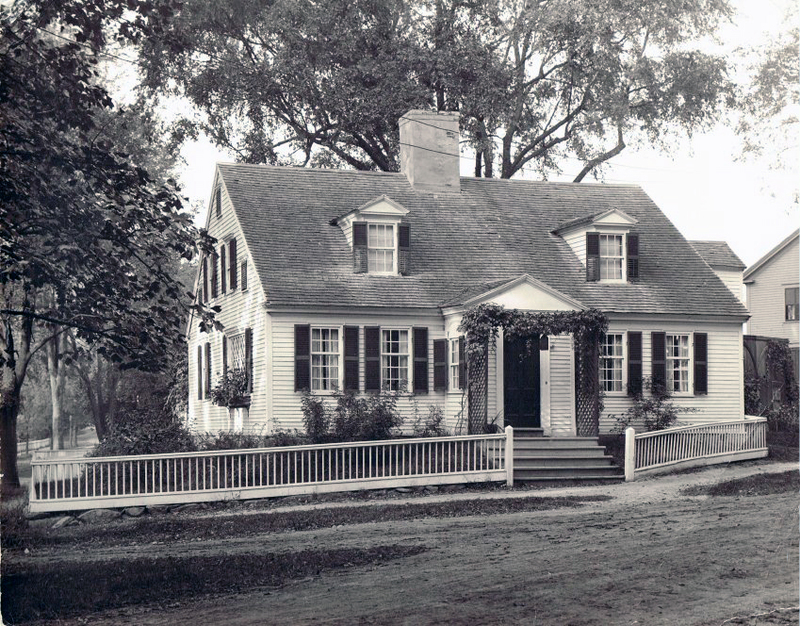 On New Year's Day 1920, James & Mary Ellen (Grant) Anderson moved into the Rose Cottage. The property was divided off at this time and the Andersons sold the house and lot at 11 Chestnut St. Mary Ellen had an antique shop here and in the 1930s, added the brick entrance steps. James Anderson died on June 8, 1939 and Mary Ellen in 1949. James G. Anderson of Medway and Margaret Anderson Dodge of Middleboro, heirs, were administrators to the estate on Oct. 19, 1949. They sold the Rose Cottage to Louise Loring Coffin, whose mother, Mrs. Fletcher Coffin, restored it to "antique authenticity". Louise married becoming Louise C. Downs. In 1996 the Rose Cottage went on the market and the entire contents of the house were sold at auction. The house was purchased by Carroll W. & Elaine Bailey of Andover. 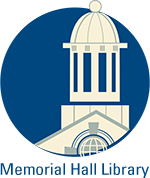 Carroll was a professor of English at Phillips Academy. He was Dean of Abbot Cluster from 1973-1983 and retired in June 1996. Elaine Bailey was a curator, responsible for antiques and artifacts owned by PA. They living on campus in the Mark Newman House across from the Fuller Bell Tower. The Bailey's did a great deal of restoration and updating to the house before moving in. 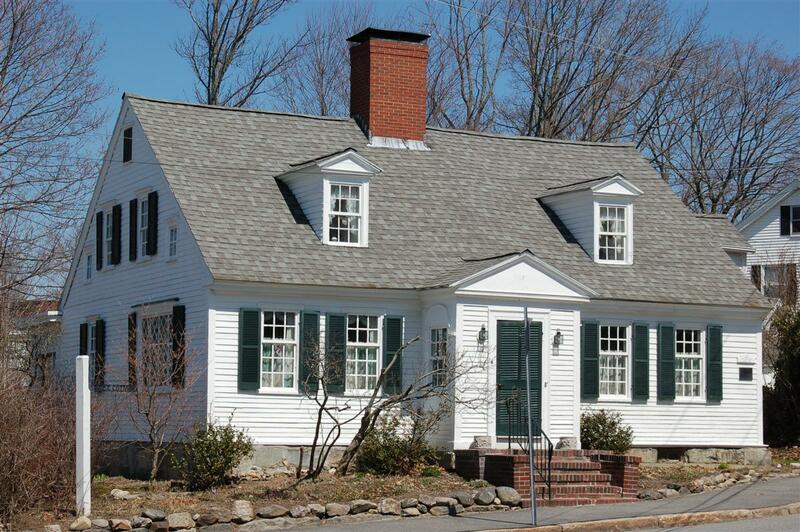 They hired Ann Miles Builder, Inc. of Newton, NH and Andover, MA to help with the restoration. It took 11 months of plumbers, electricians, painters, framers, roofers and civil engineers to create a new kitchen, baths, a new roof dormer on the rear and all in keeping with the original fabric of the house. In 2012 Carroll and Elaine downsized to Marland Place and sold their home to Garrett & Jennifer Tietjen in September 2013. Martha Lawton (Marland) Punchard - March 1, 1852 - Mar. 30, 1871 Martha died.